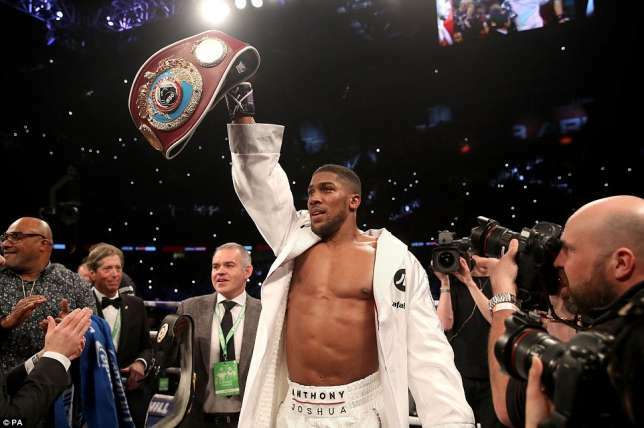 Sports Rendezvous: Anthony Joshua: British-Nigerian boxer receives $50M fight offer from Wilder. Anthony Joshua: British-Nigerian boxer receives $50M fight offer from Wilder. There have been some progress in the talks for the expected Joshua Vs Wilder fight. British-Nigerian boxer Anthony Joshua has received a $50m fight offer from WBCheavyweight champion Deontay Wilder. With Joshua and Wilder with the remaining heavyweight belts, both boxers have stated their readiness to fight each other with unification on the line. After several back-and-forths, Wilder took to Twitter to tell Joshua and his promoter Eddie Hearnto check their emails. “Anthony, get your man Eddie and Barry Hearn and get them to check their email. I've got something special for you,” Wilder said in a Twitter video.